With over 30 years' experience in the health, fitness and sports industry, I offer a comprehensive range of sports massage and injury treatments. Portsmouth FC, Tottenham Hotspur FC, and many local sportsmen and sportswomen of all levels of ability. 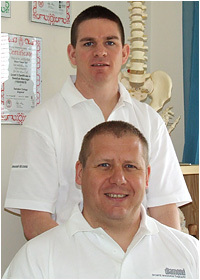 I have also lectured in sports & fitness therapies at the University of Bath and Swindon College. Darren has focused on expanding his Swindon sports massage & injury therapy client base, and developing new treatments including the now famous Kinesio taping - see our Kenesio Taping page for more details of this revolutionary treatment.